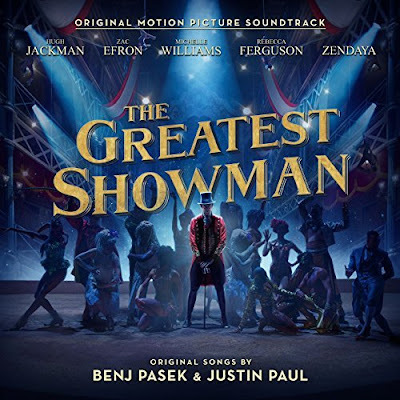 The Greatest Showman Soundtrack keeps surprising me every week! The Soundtrack spends its 19th, non-consecutive, week at No. 1 and becomes the longest running UK No. 1 soundtrack since the Sound Of Music some 50 years ago. Wow! This record is added to it's previous records as the joint-longest consecutive run at No. 1 of the last 30 years and the best-selling album of 2018 so far. George Ezra's Staying At Tamara's climbs to No. 2 and debuting at No. 3 we have Jorja Smith's Lost & Found. A banda sonora de The Greatest Showman passa a sua 19ª semana, não consecutiva, no topo da tabela de álbuns mais vendidos no Reino Unido! Esta torna-se assim na banda sonora que mais semanas ocupou o topo desta tabela desde Sound Of Music há 50 anos. Wow! Parabéns! A subir para o #2 temos Staying At Tamara's de Georze Ezra e a entrar para o #3 temos Lost & Found de Jorja Smith.